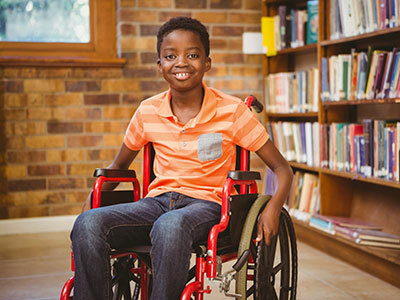 Duchenne muscular dystrophy (DMD) is caused by mutations in the DMD gene, which provides instructions for making dystrophin, a protein found mostly in skeletal, respiratory and heart muscles. Vamorolone, an experimental medicine under development, appears to combine the beneficial effects of prednisone and eplerenone – standard treatments for Duchenne muscular dystrophy (DMD) – in the heart and muscles, while also showing improved safety in experimental models. 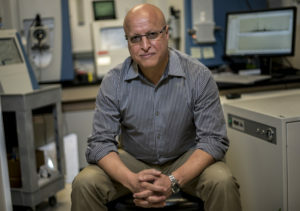 The drug does so by simultaneously targeting two nuclear receptors important in regulating inflammation and cardiomyopathy, indicates a small study published online Feb. 11, 2019, in Life Science Alliance. DMD is a progressive X-linked disease that occurs mostly in males. 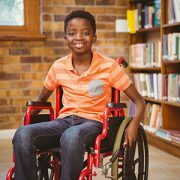 It is characterized by muscle weakness that worsens over time, and most kids with DMD will use wheelchairs by the time they’re teenagers. DMD is caused by mutations in the DMD gene, which provides instructions for making dystrophin, a protein found mostly in skeletal, respiratory and heart muscles. Cardiomyopathy, an umbrella term for diseases that weaken the heart, is a leading cause of death for young adults with DMD, causing up to 50 percent of deaths in patients who lack dystrophin. A collaborative research team co-led by Christopher R. Heier, Ph.D., and Christopher F. Spurney, M.D., of Children’s National Health System, is investigating cardiomyopathy in DMD. They find genetic dystrophin loss provides “a second hit” for a specific pathway that worsens cardiomyopathy in experimental models of DMD. MR activation increased kidney size and caused elevated blood pressure (hypertension). Treatment with vamorolone maintained normal kidney size and prevented hypertension. MR activation increased mdx heart mass and fibrosis. Vamorolone mitigated these changes. MR activation decreased mdx heart function, while vamorolone prevented declines in function. Daily prednisone caused negative MR- and GR-mediated side effects, such as hyperinsulinemia, whereas vamorolone safely improved heart function without these side effects. In addition to Heier and senior author Spurney, study co-authors include Qing Yu, Alyson A. Fiorillo, Christopher B. Tully, Asya Tucker and Davi A. Mazala, all of Children’s National; Kitipong Uaesoontrachoon and Sadish Srinivassane, AGADA Biosciences Inc.; and Jesse M. Damsker, Eric P. Hoffman and Kanneboyina Nagaraju, ReveraGen BioPharma. Financial support for research described in this report was provided by Action Duchenne; the Clark Charitable Foundation; the Department of Defense under award W81XWH-17-1-047; the Foundation to Eradicate Duchenne; the Intellectual and Developmental Disabilities Research Center under award U54HD090257 (through the National Institutes of Health’s (NIH) Eunice Kennedy Shriver National Institute of Child Health and Human Development); and the NIH under awards K99HL130035, R00HL130035, L40AR068727 and T32AR056993. Financial disclosure: Co-authors employed by ReveraGen BioPharma were involved in creating this news release. A research team led by Jyoti K. Jaiswal, M.S.C., Ph.D., found that dysfunctional mitochondria prevent repair of muscle cells in Duchenne muscular dystrophy. Duchenne muscular dystrophy (DMD), one of the most severe forms of muscular dystrophy, is caused by a defect in the dystrophin gene. The protein that this gene encodes is responsible for anchoring muscle cells’ inner frameworks, or cytoskeletons, to proteins and other molecules outside these cells, the extracellular matrix. Without functional dystrophin protein, the cell membranes of muscle cells become damaged, and the cells eventually die. This cell death leads to the progressive muscle loss that characterizes this disease. Why these cells are unable to repair this progressive damage has been unknown. A research team led by Jyoti K. Jaiswal, M.S.C., Ph.D., a principal investigator in the Center for Genetic Medicine Research at Children’s National Health System, investigated this question in two experimental models of DMD that carry different mutations of the dystrophin gene. The researchers monitored the effects of the lack of functional dystrophin protein in these preclinical models on the level and function of muscle cell. 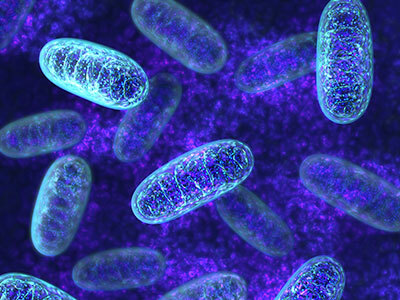 They found that mitochondria – organelles that act as powerhouses to supply the chemical energy to drive cellular activities – are among the first to be affected. They found that the decline in mitochondrial level and activity over time in these experimental models preceded the onset of symptoms. The research team also looked at the ability of the experimental models’ muscle cells to repair damage. As the muscle cell mitochondria lost function, the cells’ ability to repair damage also declined. 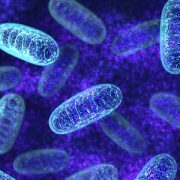 Efforts to increase mitochondrial activity after these organelles became dysfunctional did not improve muscle repair. This suggests that poor muscle repair may not be caused by a deficit in energy production by mitochondria. Q: Does similar mitochondrial dysfunction occur in human patients with DMD? Q: How can the mitochondrial dysfunction be prevented? Q: Is there a way to reverse mitochondrial dysfunction to better preserve the ability of muscle cells to repair from DMD-related damage? Source: “Mitochondria mediate cell membrane repair and contribute to Duchenne muscular dystrophy.” Vila, M.C., S. Rayavarapu, M.W. Hogarth, J.H. Van der Meulen, A. Horn, A. Defour, S. Takeda, K.J. Brown, Y. Hathout, K. Nagaraju and J.K. Jaiswal. Published by Cell Death and Differentiation February 2017. Earlier this month, ReveraGen BioPharma announced an exclusive option agreement with Actelion Ltd for lead compound vamorolone, a non-hormonal steroid modulator that is primarily used for the treatment of Duchenne Muscular Dystrophy (DMD). ReveraGen, the first Children’s National private spin-off company, is engaged in the discovery and development of proprietary therapeutic products for neuromuscular and inflammatory diseases. Under the terms of the license agreement, Actelion and ReveraGen will partner to research and co-develop the novel compound vamorolone, which holds the potential to preserve muscle function and prolong ambulation in DMD patients, without some of the side effects that are commonly associated with glucocorticoid therapy. Those commonly associated include growth stunting and immune suppression, which can pose significant challenges for very young patients. ReveraGen completed Phase I clinical trials for vamorolone in late 2015, and a Phase IIa program is currently underway to investigate the safety and efficiency of vamorolone in male DMD patients between four and seven years of age who have not taken deflazacort or prednisone. A Phase IIb program is also in early planning stages. ReveraGen Co-Founder and CEO Eric Hoffman, PhD, has worked on DMD since the late 1980’s and has led his own research group for nearly 20 years at Children’s National. He co-founded ReveraGen back in 2008 with John McCall, PhD and Kanneboyina Nagaraju, PhD, DVM, before being named CEO in 2014. Children’s National maintains a 38 percent stake in ReveraGen. 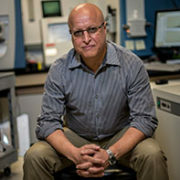 Using a mass spectrometer, Yetrib Hathout, Ph.D., is able to quantify 3,000 to 4,000 proteins from a tissue sample to identify proteins associated with cancer. 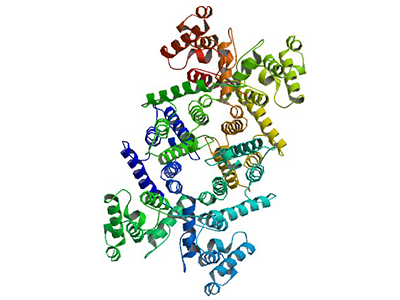 Using a Somascan proteomics assay – which simultaneously analyzes 1,129 proteins in a small volume of serum – a team led by Children’s National Health System researchers identified 21 biomarkers that respond to corticosteroids taken daily by children with Duchenne muscular dystrophy (DMD) and inflammatory bowel disease. Corticosteroids are commonly prescribed to treat inflammatory conditions. High daily doses of corticosteroids are considered the standard of care for DMD, a type of muscular dystrophy characterized by worsening muscle weakness that affects 1 in 3,600 male infants. However, depending on the age of the child and drug dosage, chronic use is associated with such side effects as changes in bone remodeling that can lead to stunted growth, weight gain, facial puffiness caused by fat buildup, mood changes, sleep disturbances, and immune suppression. The research team sought to identify blood biomarkers that could be leveraged to create a fast, reliable way to gauge the safety and efficacy of corticosteroid use by children. 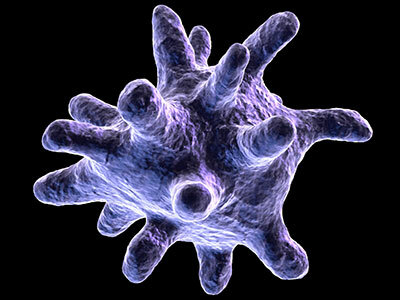 The biomarkers also could guide development of a replacement therapy with fewer side effects. The blood biomarkers sensitive to corticosteroids fit into three broad groups, according to the authors. The children taking corticosteroids were matched with children of the same age who had never taken the medicine. Five biomarkers significantly increased in this corticosteroid-naïve group and decreased in kids prescribed corticosteroids. 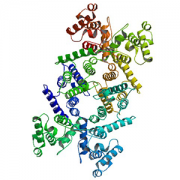 The biomarkers generally were inflammatory proteins and included chemokine, insulin-like growth factor binding protein 2, and integrin alpha-I/beta-1 complex. The second group of biomarkers included nine proteins associated with macrophage and T-lymphocytes that were significantly reduced in concentration in kids taking corticosteroids. According to the study, this finding hints at corticosteroids blunting the ability of the immune system’s most able fighters to respond to infection. In the third group were five proteins that were significantly increased by corticosteroid treatment in DMD and included matrix metalloproteinase 3, carnosine dipeptidase 1, angiotensinogen, growth hormone binding protein, insulin, and leptin, a hormone linked to appetite. What researchers learned with this study will help them more accurately design the next phase of the work, Hathout says. This work was supported by National Institutes of Health grants (R01AR062380, R01AR061875, P50AR060836, U54HD071601, K99HL130035, and R44NS095423) and Department of Defense CDMRP program grant W81XWH-15-1-0265. Additional support was provided by AFM-Telethon (18259) and the Muscular Dystrophy Association USA (MDA353094).